Mr E was 40 years old when he was involved in a road traffic accident. Following the accident he was taken to the Conquest Hospital, Hastings, with multiple injuries including a closed fracture to the right femoral shaft. A week after his accident Mr E underwent surgery to his leg however the surgeon failed to appropriately stabilise the bone as two proximal locking screws where misplaced in an unsatisfactory position. He instead used a single 6.5cm screw with two screws in a lower part of the nail. The single 6.5cm screw penetrated the posterior aspect of the upper femur and lay behind the femoral head causing it to perforate the hip joint. Mr E went on to develop an infection as a result of the length of the surgery. He had considerable pain and suffering after being encouraged to mobilise despite the fact that the single 6.5cm screw was in the back of the hip joint. 2 weeks later Mr E underwent a further operation to remove the nail, clean out the wound and drain the hip joint. Despite regular treatment and antibiotics Mr E’s leg did not unite. He was seen on several occasions and noted to have a major gap at the fracture site which was highly unstable with acute sepsis. It was felt that Mr E’s leg would not heal. However, despite this he was not referred for another operation until 9 months after his initial surgery. The surgery finally took place 13 months after the original surgery; the nail was removed and a long locked plated was used to stabilise the fracture which subsequently healed. Mr E was off work for a long time and as a result was unable to return to his job after his leg finally healed. 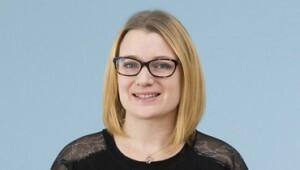 Jennifer Waight acted for Mr E and obtained expert evidence from an orthopaedic surgeon who confirmed that it had been unacceptable to use a single screw in a femoral reconstruction nail which was designed for two screws. He also felt that the severe mal-position was not an acceptable complication. After negotiations Jennifer successfully obtained an out-of-court settlement of £50,000 to compensate the claimant for their pain and suffering. Jennifer specialises in orthopaedic cases. If you would like to ask Jennifer a question about a potential case, or if you have a general query about any clinical negligence, contact Jennifer at Thomson Snell & Passmore solicitors on 01892 701374 in confidence.